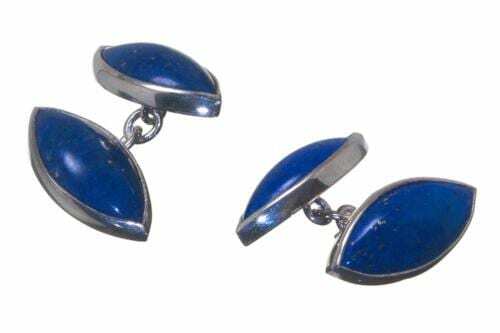 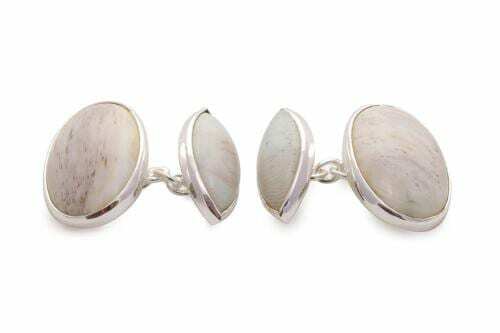 Hand crafted ovals from genuine green jade albite these jade cufflinks are joined by gold plated (5 Micron 18K Gold) sterling silver chains. 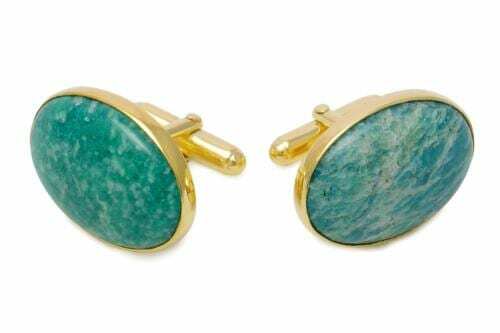 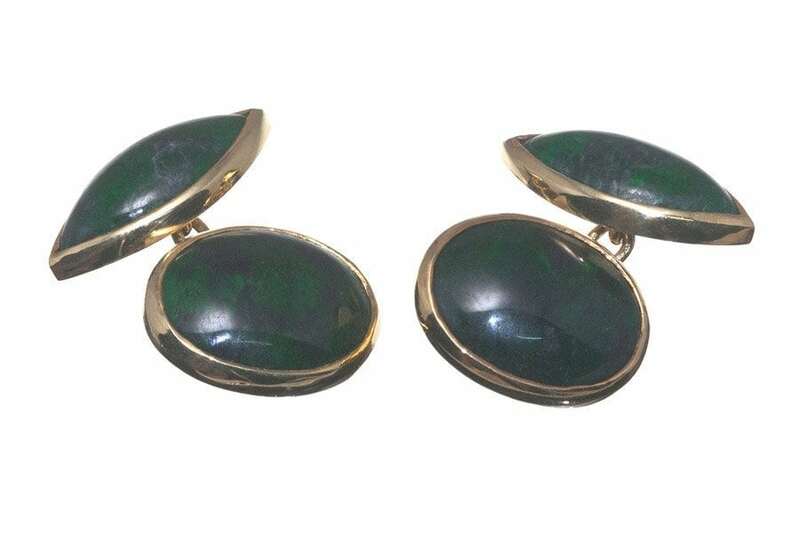 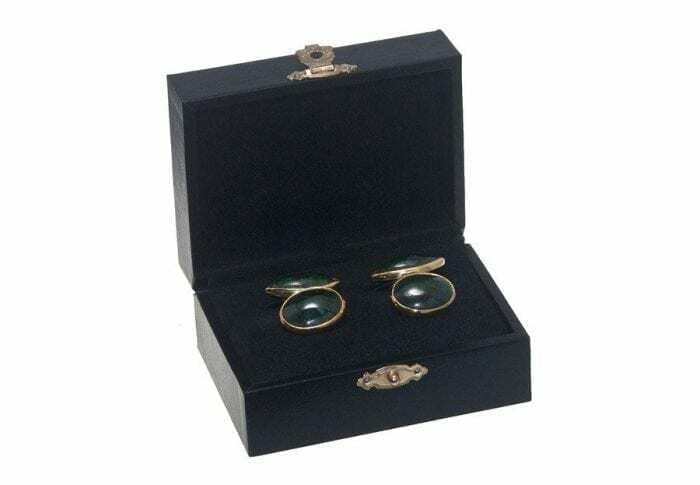 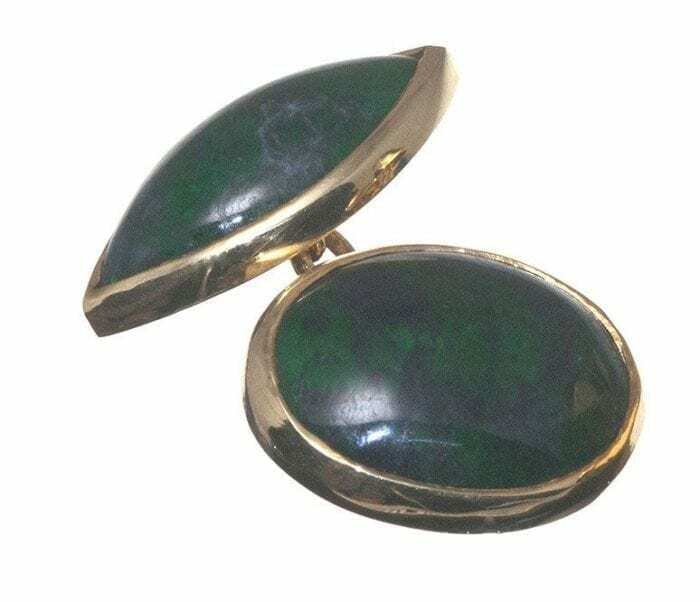 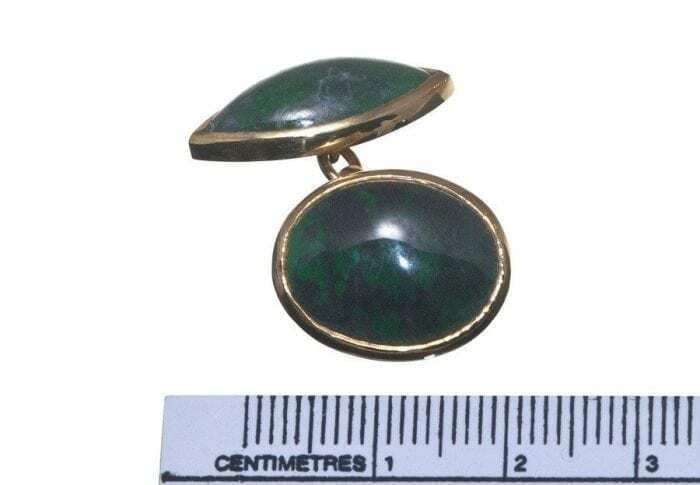 Lovely –rare, Regnas Cufflinks in green jade albite on gold plated (5 Micron 18K Gold) sterling silver. 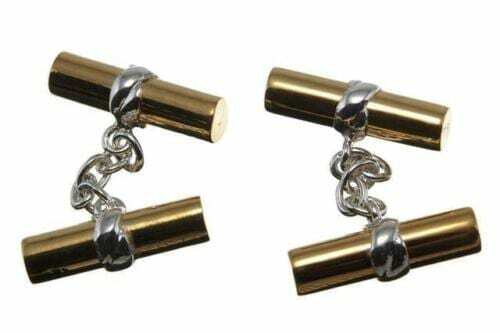 These ovals measure 18 x 14 x 4 mm (23/32 x 9/16 x 5/32 inch) one end and 20 x 10 x 4 mm 25/32 x 25/64 x 5/32 inch) at the other end.